Gorgeous Cleveland Circle 6 Bedroom 2 Bathroom apartment. Modern kitchen features granite counter tops and stainless steel appliances. Ceramic tiled bathrooms, huge windows, and Gleaming hardwood floors. Laundry in unit. High-efficiency heating system. Large deck and rear yard. Garage Parking included. 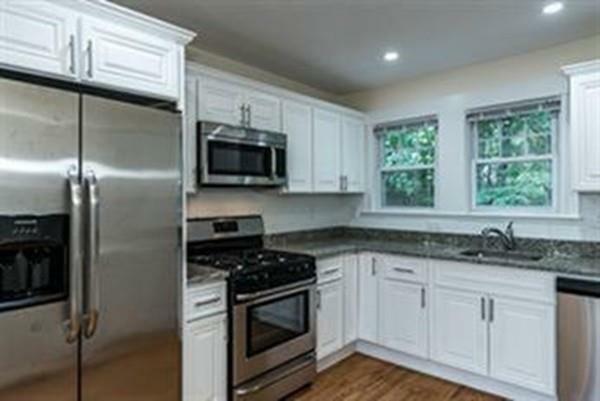 Moments to shops and restaurants, minutes to the MBTA. Available September 1st, 2018. Listing courtesy of Jerome Bibuld of Red Tree Real Estate. Listing provided courtesy of Jerome Bibuld of Red Tree Real Estate.